In an office or hosting a party, a kettle just doesn't cut it. So how can you have enough hot water on demand to satisfy a crowd? 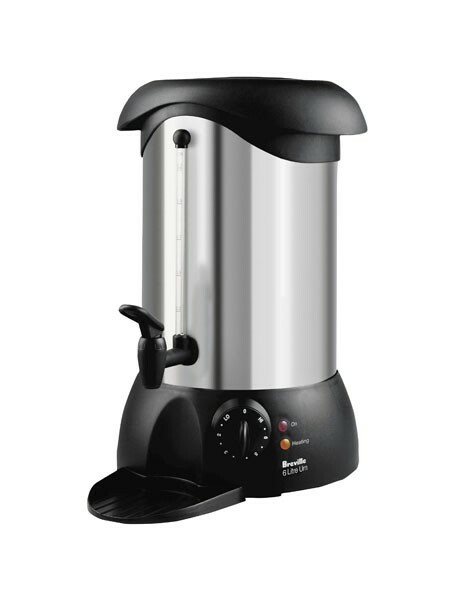 Breville's 6 litre urn keeps water hot to dispense instantly whenever it's needed at a variety of preset temperatures. The urn holds up to 24 metric cups, enough for over 40 tea cups, and with features like a non-drip tap, external water gauge, locking lid, ergonomic handles and boil dry cut off, it has all the functionality you need for stress-free entertaining.